On June 21, 1977, Led Zeppelin played the first show of their historic 6 night run at the Los Angeles Forum, playing shows on the 21, 22, 23, 25,26 & 27. 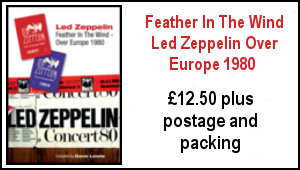 To those familiar with Led Zeppelin bootleg recordings, these shows are widely considered to be among the best of the whole 1977 tour. For this tour, the band decided on a set list that combined old favorites with a couple of new songs from their latest album, “Presence,” which was released the previous year. 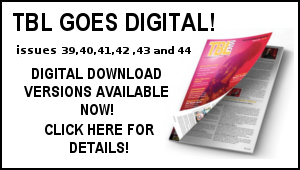 They also chose to bring out some songs they had never done live before, such as ‘Ten Years Gone,’ and ‘The Battle of Evermore,’ as well as their first acoustic set in the US since 1972. 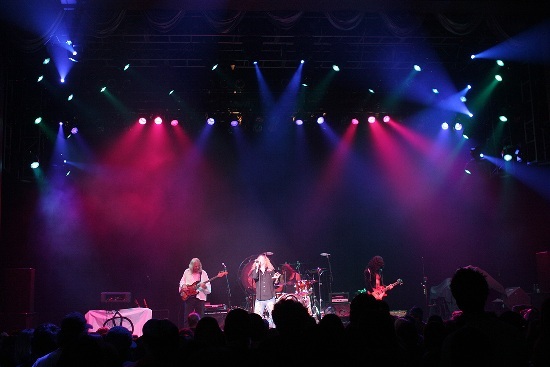 This Saturday night, June 26, US tribute band Led Zepagain will be presenting “Led Zepagain – The 1977 Tour – Revisited” at The Grove of Anaheim CA. 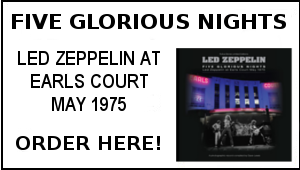 This show features the complete 1977 setlist, costumes & equipment, as well as the famous “Jimmy Page Laser Pyramid” The Grove is located at 2200 E Katella Blvd, right next to Angels Stadium. The Grove is open to all ages. Seating is all General Admission, with open standing in the front, and seating in the rear. I’ve seen this band 8 times and am amazed at the overall reproduction every time. As a lifelong Zep fanatic I was in shock the first time I saw them. I couldn’t believe the way they recreated the sound. The playing is note for note and the attention to detail is there for the true Zep fan to see. Everything from the sound to the equipment to the costumes to the stage. The setlist always changes. I attended one of their “1977 U.S. Tour Revisited” shows. It was the best yet. At the famous Whiskey-A-Go-Go on Sunset Boulevard in Hollywood,California I saw them play “In the Light” and “Fool In the Rain” along with “Going to California”. They are incredible every time. The guitar player has a replica of Page’s black costume with the moons and stars that he wore in “The Song Remains the Same” and he also has a replica of the white dragon suit he wore on the 1977 U.S. tour. He also has the Gibson SG double-neck. I’ve seen them play the set list from “The Song Remains the Same” in its entirety. Every note. Even “Dazed and Confused” is spot on. All 26:57 of it. Every note exact. 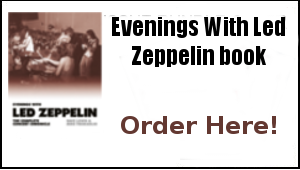 If you are a Zeppelin fan and this band is playing near you, you need to know that this is as close to seeing Zeppelin as you will ever get. This band is awesome!!! And they’re a bunch of nice guys, too. Well worth whatever the cost and The Grove is a great venue.